In celebration of NetherRealm Studio’s latest console game announcement, we’ve put two INJUSTICE 2 Characters in INJUSTICE GODS AMONG US Mobile. Get a sneak peek at the new look of two iconic characters bringing the fight, INJUSTICE 2 Superman and INJUSTICE 2 Aquaman are here. 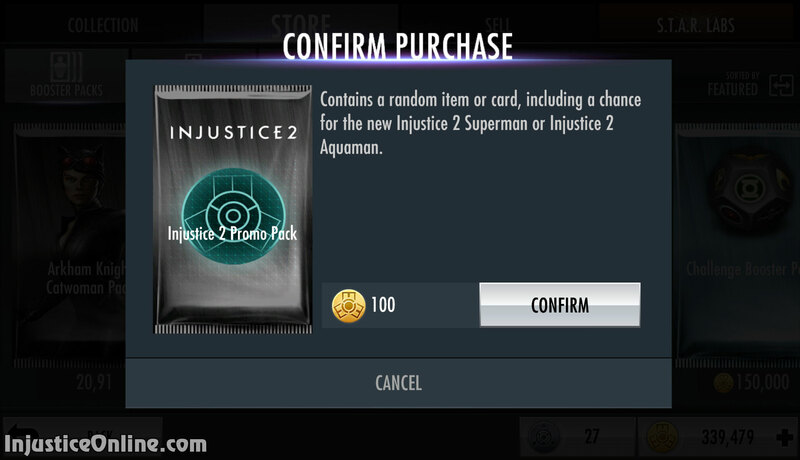 Both appear as Challenge characters, with opportunities to buy directly in Access Packs. Get a jump start on the excitement now! 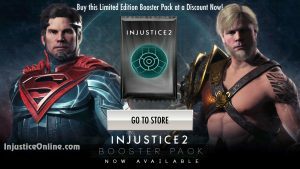 As part of the INJUSTICE 2 roll out, we’re offering a Daily Gold Booster Pack from 6/12 – 6/18 for only 100 Power Credits. That’s an extreme discount, and it carries a chance at earning both INJUSTICE 2 Superman and INJUSTICE 2 Aquaman. Go ahead, test your luck. Two more Challenge Characters are coming soon. The women of Injustice round out the new character offering in this latest update. Ame-Comi Catwoman and Teen Titans Raven Challenges are coming soon. Don’t miss out. Are you excited about the latest additions to Injustice Mobile and the announcement of Injustice 2? Let us know in the comments below. INJ 2 Superman challenge ended. When does INJ 2 Aquaman challenge begin? When will Teen Titans Raven come out?